Initiated the Parliamentary Inquiry that led to dying with dignity reform. In November 2017, Victoria became the first state in Australia to pass laws for physician assisted dying for terminally ill patients. 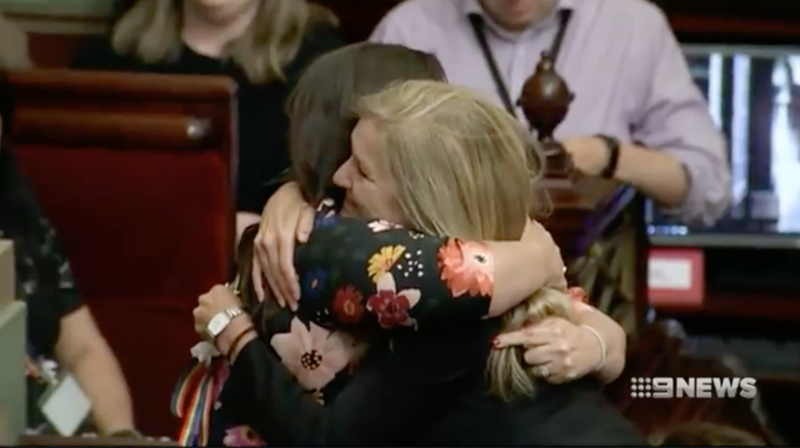 From the middle of 2019, Victorians with a terminal illness will be able to request an assisted death if they meet certain criteria. Eligible patients must be Victorian residents over the age of 18, of decision making capacity, who have six months to live and are in intolerable suffering. Eligibility is extended to 12 months for those with neurodegenerative conditions, such as motor neurone disease and multiple sclerosis. The safeguards that must be met, before a person is granted access to the lethal medication to end their life, are the most comprehensive in the world. Fiona Patten was central in achieving this reform. On the day she was elected to Victoria’s Legislative Council in 2014, she had promised the first legislative change she would pursue would be the legalisation of euthanasia. It was repeat of a promise she had made days before to Peter Short, a leading pro-euthanasia campaigner. Short, who suffered oesophageal cancer, died, aged 57, a month after the election. Fiona Patten’s motion in Parliament on 7 May 2015, led to the establishment of an inquiry into end of life choices, overseen by the Legislative Council’s Legal and Social Issues Committee. Patten became a member of the eight-person inquiry, whose task was broad – to study not just euthanasia, but all “end of life issues”, from palliative care to the “advice directives” available to those holding power of attorney over the dying. The committee sought evidence from both those in support and those opposed to euthanasia; it heard wrenching stories from families who had watched too much suffering, from those left numb by suicide, and from those who believed palliative care was the most human response. The committee travelled to the Netherlands, Switzerland, Canada and the US to study those nations’ approaches. In the end, the committee’s majority report offered 49 recommendations on how to introduce, administer and limit assisted dying to those already dying and suffering. The government accepted 44 of the recommendations and appointed an expert panel to design what it called “a safe and compassionate voluntary assisted dying framework for Victoria”. In giving effect to the Inquiry’s recommendations, it was the panel’s design that formed the basis of the legislation – that after 100 hours of parliamentary debate and a conscience vote – became law in Victoria. Experiences from Oregon shows us that less than point-four of 1 percent will seek euthanasia, but for that tiny fraction, it will mean they can die with the dignity they choose.